If you’re into mobile games you’ll be interested to know that Angry Birds Go! 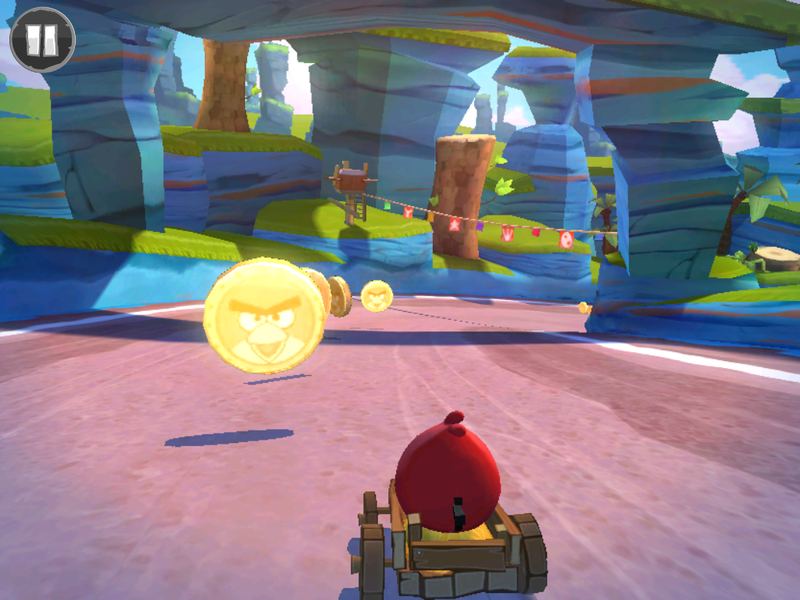 — Rovio’s bird-filled take on Mario Kart — just landed. The title has gone live in the Windows Phone Store, App Store, Google Play Store, and BlackBerry World today, as planned. As you might expect with all things Rovio, much of the game mechanics requires in-app purchases or building up a collection of virtual money (by winning races and challenges) to unlock new challenges, features and cars. In-app payments for Angry Birds Go! total as much as $64.99 for a single feature unlock — so employ the necessary password protection if you’re letting young children play.